What would you do on a sunny but windy spring day? Well, I guess you can do plenty of things. 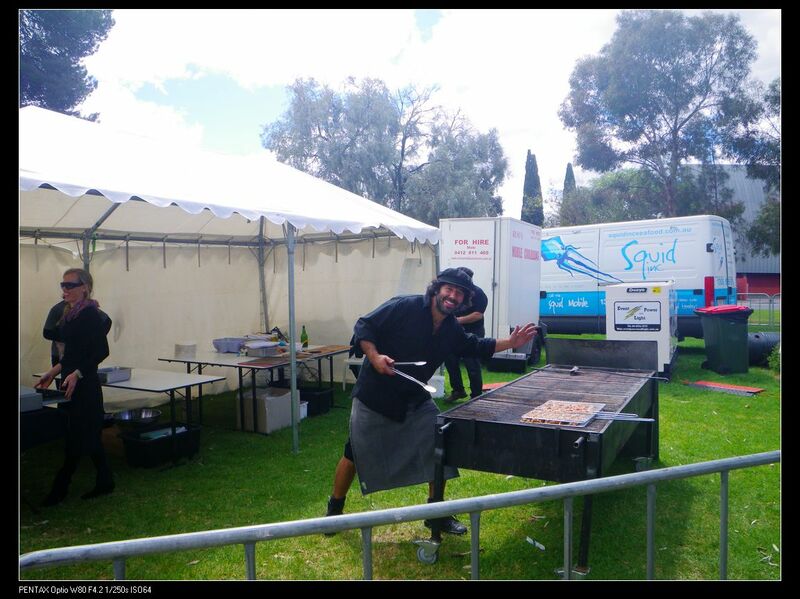 However, if you will be sticking in town for a while, you may want to check out Adelaide’s very first BBQ festival. By now, this two day event has ended. I went there yesterday with my wife and enjoyed most of it. This is a boutique style free event, with food, beer, music and wines. As for the first year, the event is still small, but hopefully it can grow bigger and better in future years. 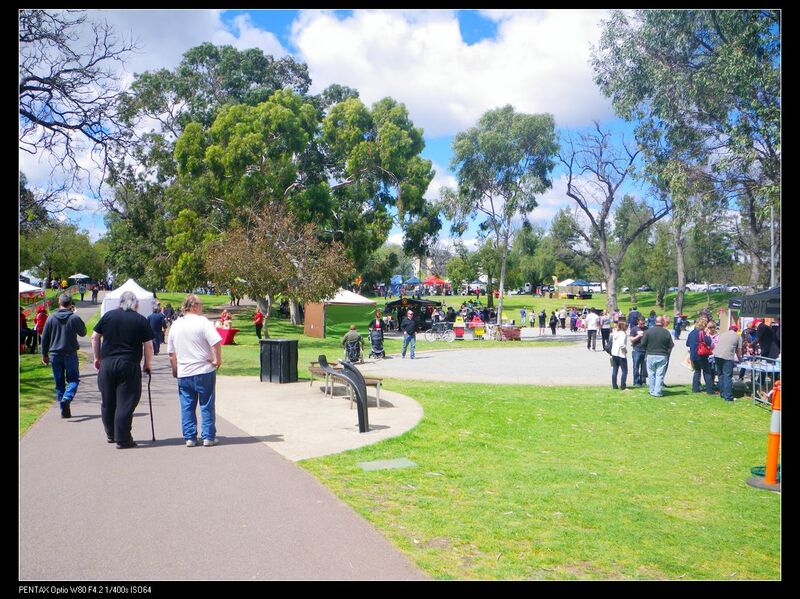 The event was located at Rundle Park and it was pretty family friendly. People can sit on rugs over grasses, having some good food and drinks as well as socialising and enjoying themselves. 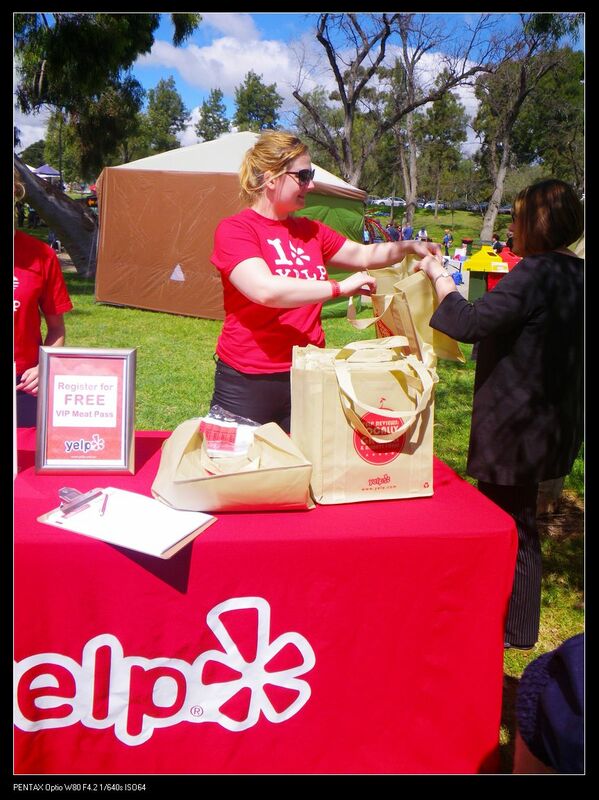 At the entry, YELP Adelaide was there to give out their own VIP Meat passes with a goodie bag. 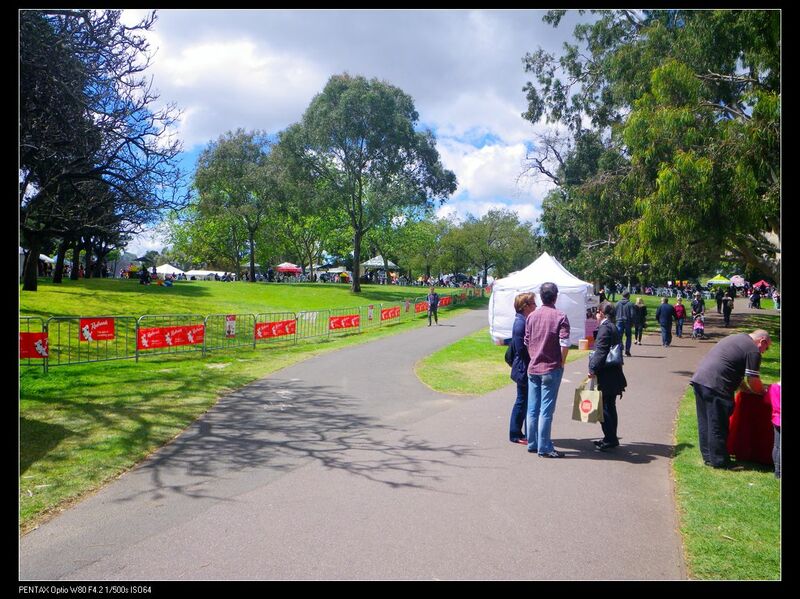 Visitors can collect free samples from different vendors similar to the Yellow Brick Road trail for Royal Adelaide Show. We had some samples with sorbet from Gelista Premium Gelati. Although limited varieties were offered, the taste was not bad. I think I like Gelatissimo gelato better. 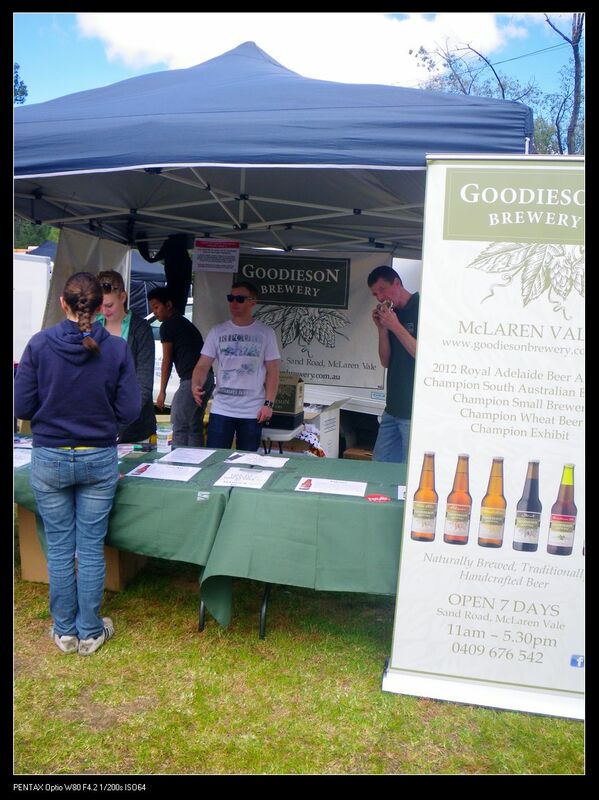 We then visited Goodieson Brewery to taste some special wheat beer. I enjoyed them but my wife didn’t. I guess that’s just a personal thing as I love the taste and smell of wheat. Apart from these food tastings, we had Grill pro 12 hr roasted beef brisket, but to us, it was a bit too dry so I didn’t take any photos. However, I saw something I thought to be very cool. 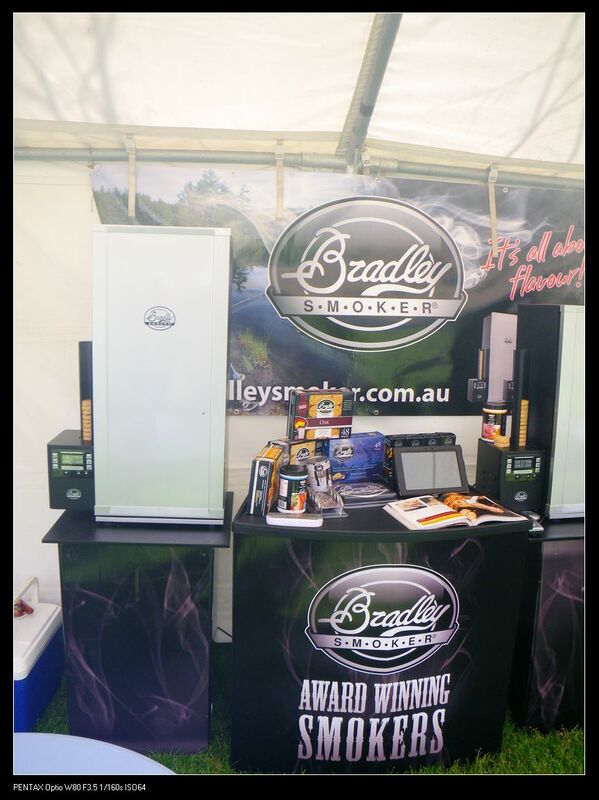 The Bradley smoker had a rather sophisticated design. They had their smoked ribs on BBQ for tasting. It was very yum with all the juices that still remained in the meat. The taste was superb too. Along the way, there were many different vendor. I am not going to talk about every single one of them. 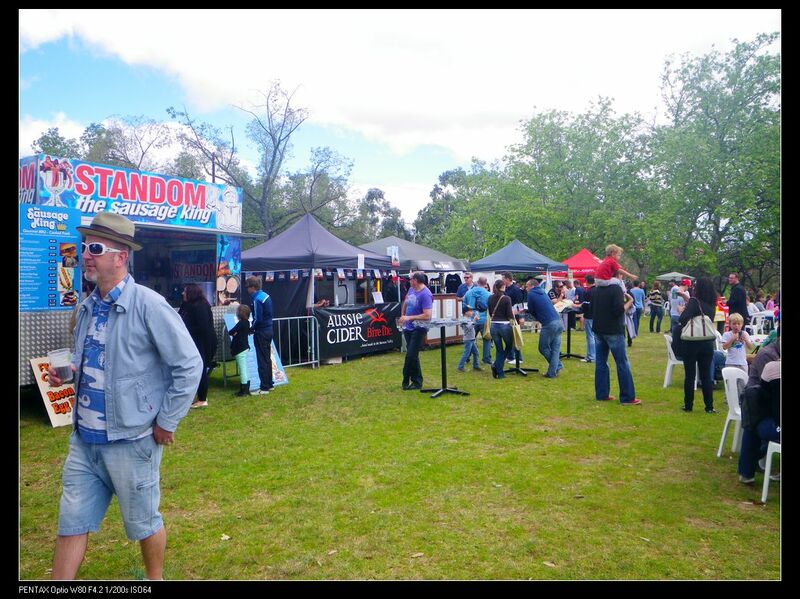 However, many of these vendors were not BBQ related at all! I think this is an area where the organisers need to consider. 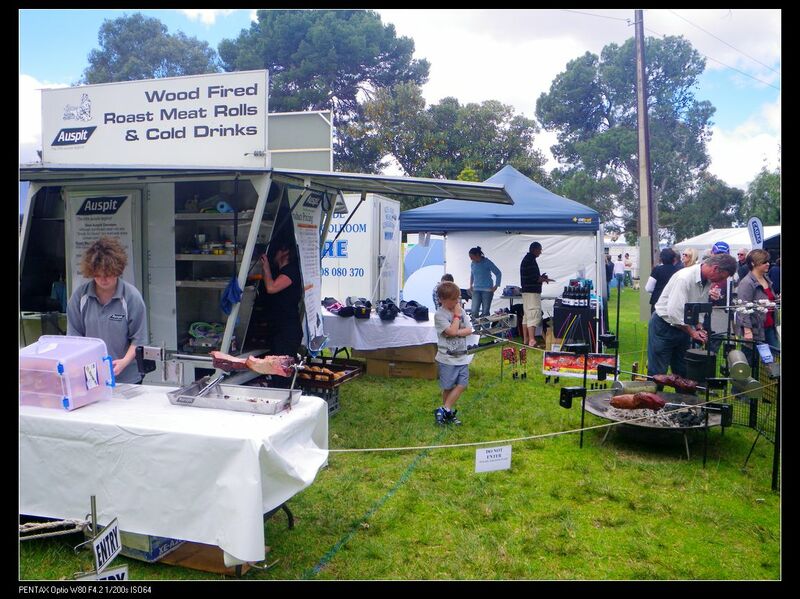 We are here for premium BBQs not anything else that we can easily find in any event! Now, let’s talk about my lunch. 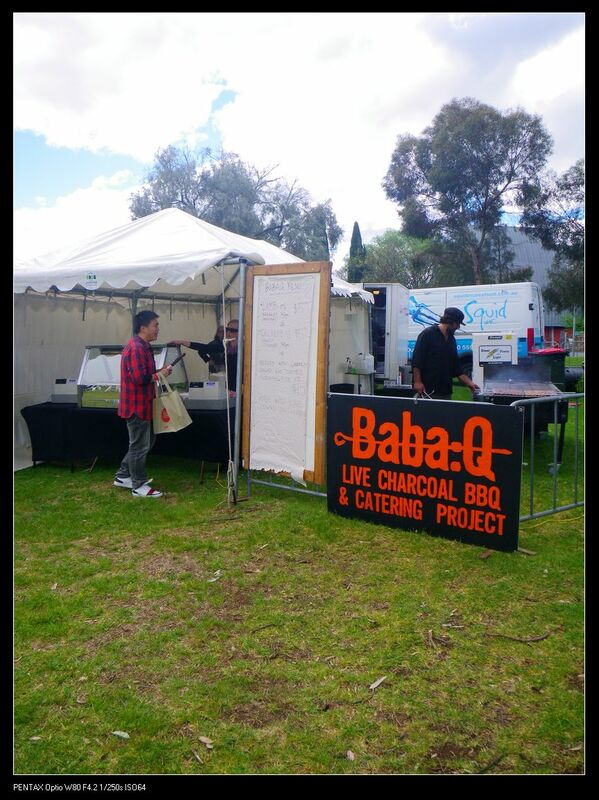 Both of us really enjoyed the following food and that’s the best part of the event :D.
BabaQ catering service was there to offer some barbecued lamb and chicken sticks. I had the lamb stick ($5). OMG! Succulent lamb was cooked medium to perfection. The meat was moist and tender. 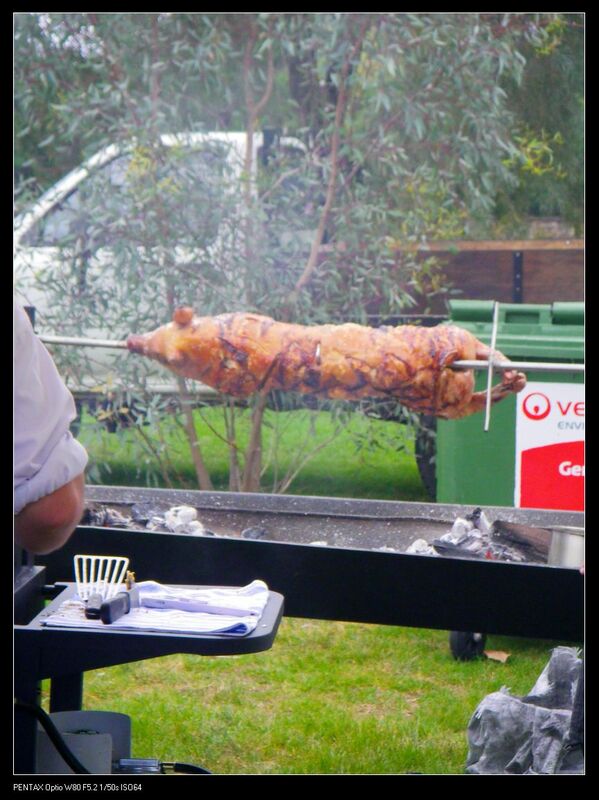 The lamb flavour was fully enhanced after being barbecued. 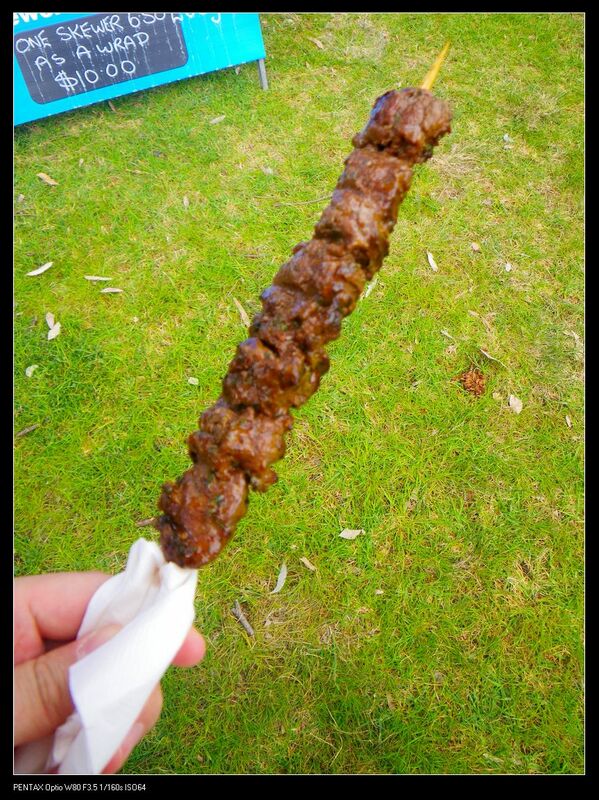 I haven’t had a good lamb stick for ages in Adelaide. The service was good too. 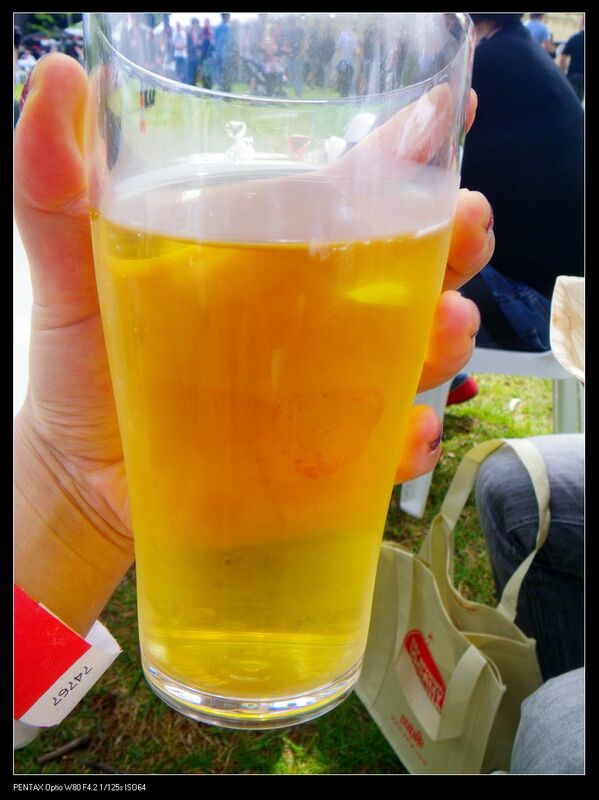 After the entree (:P), I had a glass of apple cider from the Hills Cider. SA apples were used in the production of the cider. It was full of the apple freshness. With bright straw colour and great acid backbone, vanilla, a hint of vanilla can be detected and most importantly, the cider tasted like real apple :). Please support our local business. 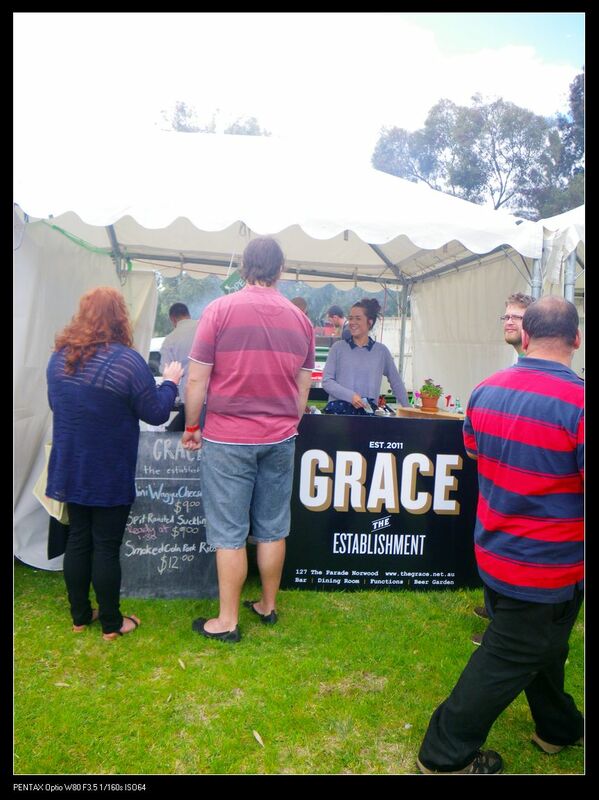 Our famous Grace was there and offered 3 dishes, including their renowned mini wagyu cheeseburger, spit roasted suckling pig bun as well as barbecued ribs. We had the suckling pig ($9). It was yum! The beautifully cooked pork meat was very tender and well seasoned, being roasted to perfection. The pork skin was cracked nicely and was so crunchy that I can’t stop eating. 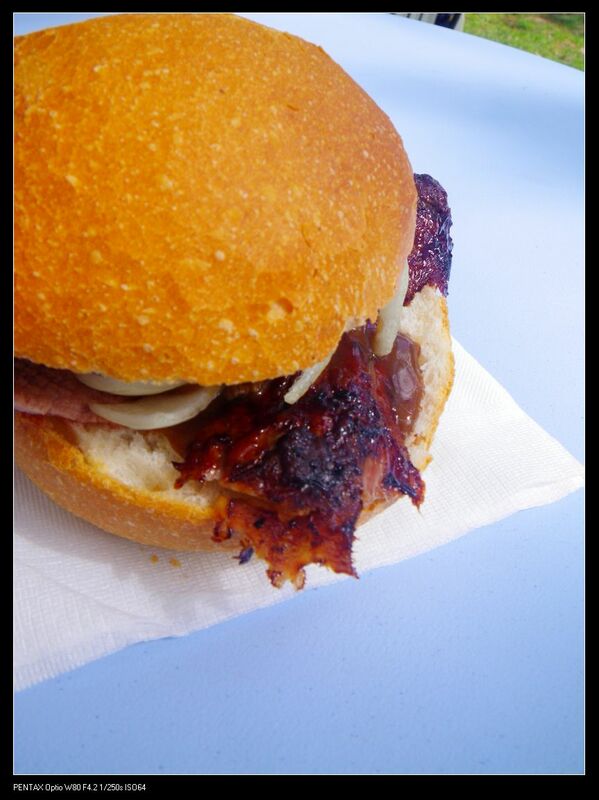 The bun was soft and slightly sweet which accompanied the meat well. This vendor offered roast meat rolls. However, they mainly focus on selling their equipment, which were funky enough to catch one’s attention. On the other hand, however, their meat roll was not very special. I meant it was still tasty, including roasted meat with pink centers, roasted onions and gravy, but the meat was too dry and tasteless. Maybe they need to keep an eye on their seasoning process. 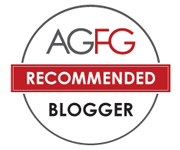 The overall experience to the event was great, but I have some own suggestions for the organisers. 1. Please keep it relative to BBQ! 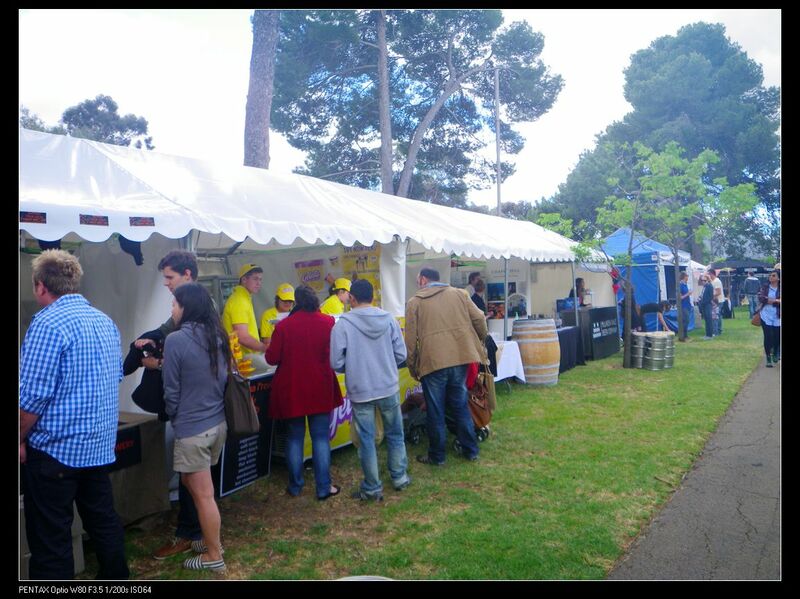 It is a gourmet BBQ festival, but only a couple of the vendors that really offered BBQ. People are not here for sushi or curries. If they do, they probably will go to the restaurant to have a nice lunch or dinner. 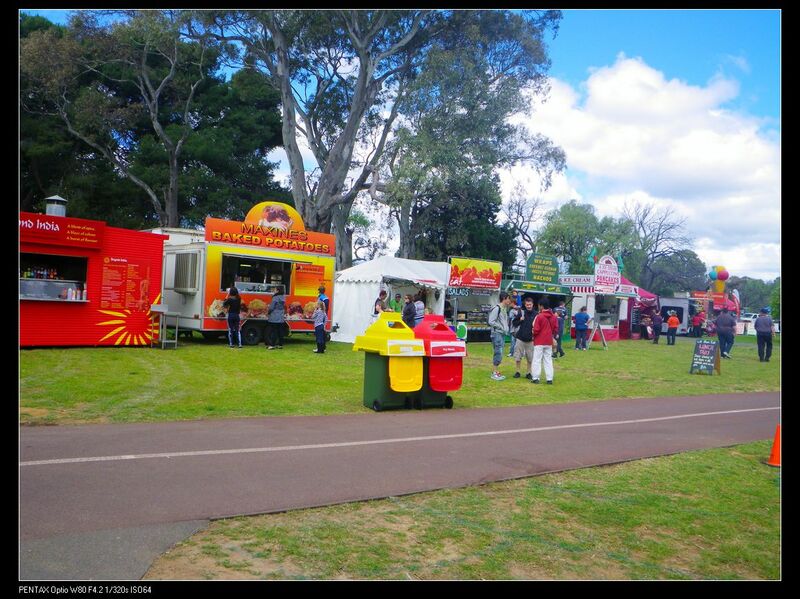 Please don’t take this offensively, Although multinational food added a bit extra to the event, but I guess these vendors may offer some BBQ related dishes if they wanted to attend the event. Japan got yakitori and robatayaki and India got tandoori. These are only the examples that can be offered at a BBQ festival. 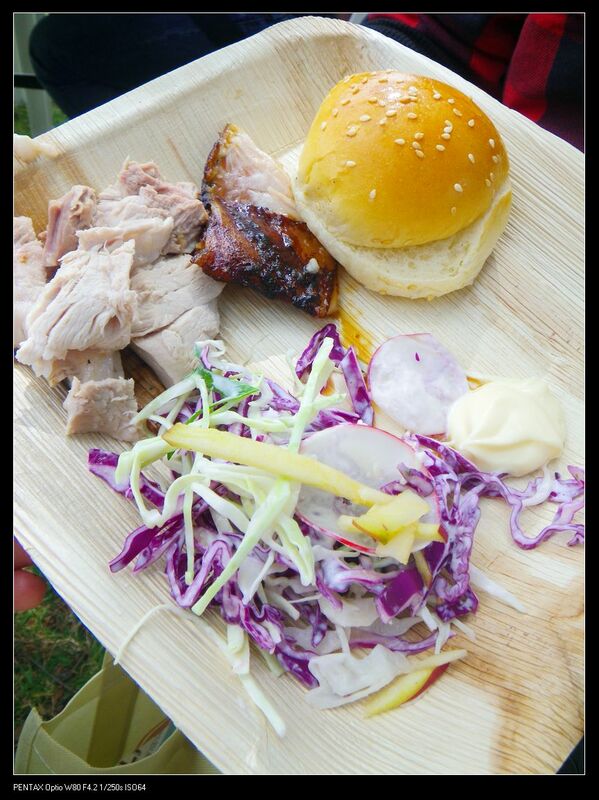 If these were presented, it was then a true gourmet international BBQ event. 2. 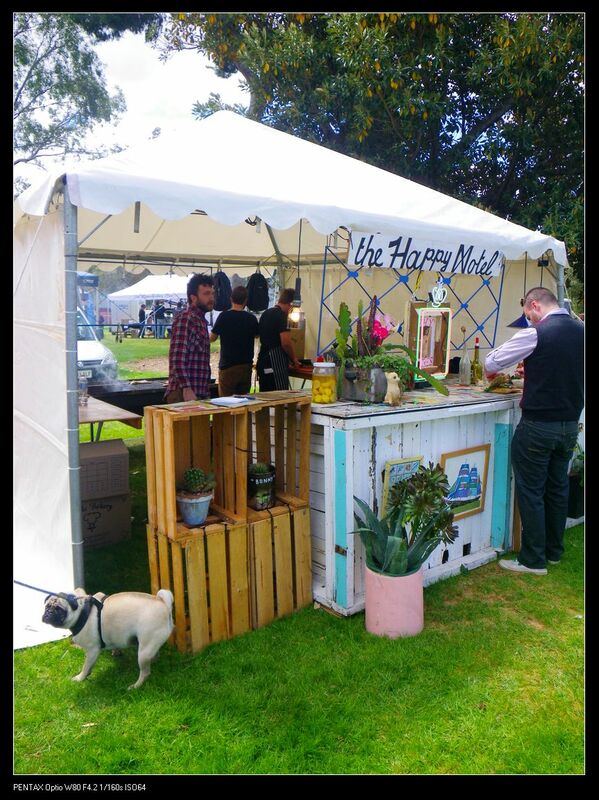 You may want to have more vendors as well as a band that can attract ppl. 3. 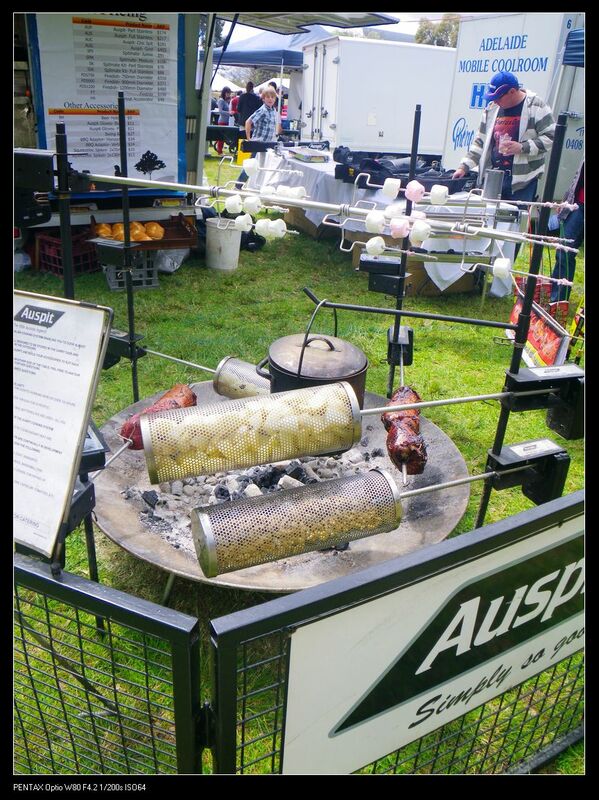 I like the idea that BBQ related equipment and accessories are on display, but this year’s event was more like an exhibition rather than a festival. Please consider this aspect next year. Anyway, I do hope this event can grow bigger and better in future years. There was more people today! 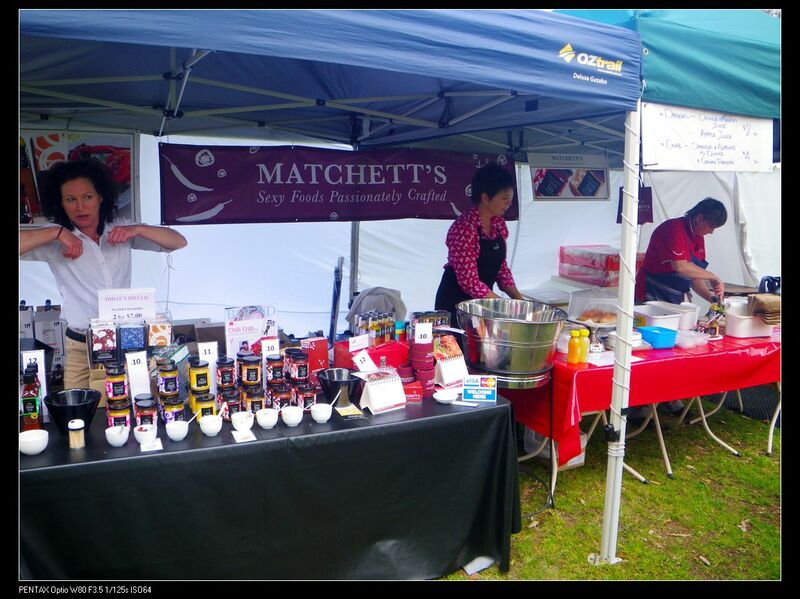 I liked the chilli eating competition.Their chilli chicken salt tasted very good with roast chicken. I tasted the salt. It went nicely with fish and chips.